Times change, people change, cultures change. Few cities move as fast or adapt as quickly as Shanghai. Ian Schrager, the inventor and innovator of the boutique hotel concept, now brings the modern luxury of the EDITION Hotels brand to Shanghai. “This is a new kind of hotel in China that the city of Shanghai didn’t know it needed.” Schrager says. 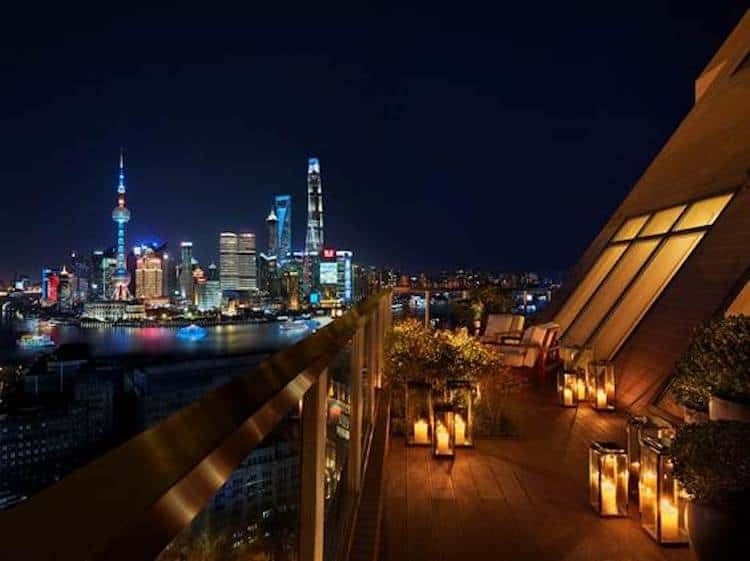 Following the success of the EDITION Hotels in London, New York, Sanya, China and Miami Beach, The Shanghai EDITION represents a new kind of innovation and authenticity in luxury travel; a modern oasis of comfort at the heart of one of the world’s most populous cities. By understanding that a hotel is more than just a place to sleep—it’s a hub, a meeting place, a culture of commerce, work, life and play—Schrager creates not just a hotel but a seamlessly integrated experience, a small city within a city. It’s an international ethos with a local product: World-renowned architects, designers, chefs, mixologists, fabricators and artisans have come together at the meeting point of unmistakable Shanghai culture. This one-of-a-kind modern meeting point innovates and extends the very concept of hotel: dining, recreation, entertainment, work, relaxation, meeting point and landmark in one. With The Shanghai EDITION, Schrager has married the best of the old world and the new. The result of an ambitious and imaginative development, combining two very distinct yet complementary buildings, The Shanghai EDITION will be housed in one of the city’s finest buildings; the former headquarters of Shanghai Power Company on Nanjing Road, along the tree-lined Huang Pu River port on the Bund. This Art Deco monument houses the public area of the hotel, comprising a magnificent lobby, Michelin starred Chef Jason Atherton’s new restaurant, Shanghai Tavern, and a world class spa as well as multiple bars, night club, rooftop and meeting and event areas. As well as being updated and renovated, the heritage-protected historical building now flows into the state-of-the-art skyscraper development, designed to coexist and harmonize with the historical structure, while bringing it into the present day. This multi-dimensional space creates a synergy, designed for movement and flow. In the new tower, 145 rooms and suites, many with unrivalled views of the Bund, will be accompanied by an array of wining and dining spaces, including HIYA, a new Japanese restaurant by Jason Atherton on the 27th floor and Shanghai’s stylish incarnation of Punch Room, the sophisticated cocktail lounge first made famous at The London EDITION and ROOF, a garden rooftop bar with 360 degree views of Shanghai.